How would you rate your experience with Trivago ? Trivago is an online discount hotel reservation service. Founded in Dusseldorf, Germany, in 2004 by Peter Vinnemeier, Malte Siewert, and Rolf Schrömgen. This trio still owns 40% of the company, and Expedia purchased 61% of the company in 2012. 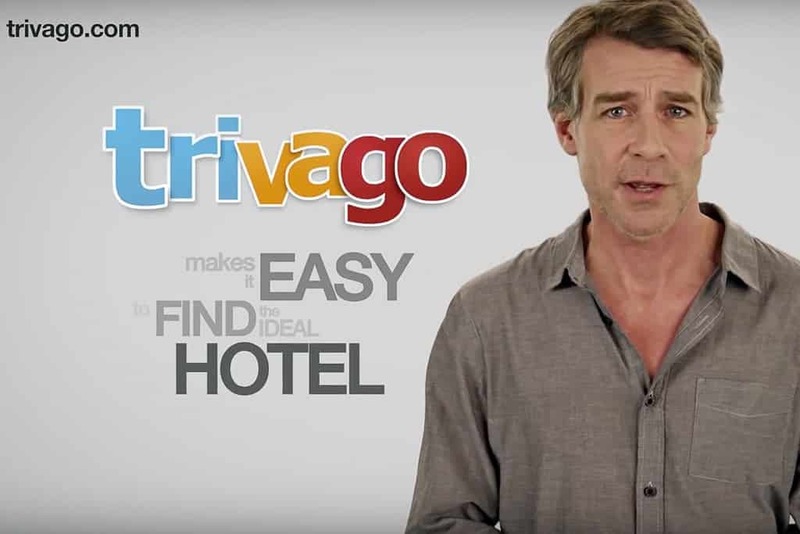 Trivago has grown tremendously over the past decade. It now operates in 55 countries around the world. The company has more than 1,000 employees and had $4 billion in revenue in 2015. The company claims to be the largest hotel search engine in the world, with more than 250 booking sites. The company also offers a free app for both Android and iOS devices. Each hotel listed must receive at least 20 ratings before Trivago assigns the hotel a rating. Ratings are from 0 to 100 and are based entirely on results from “mystery shoppers”. In July 2018, Trivago lost more than 30% of its stock price as the company struggled to compete with businesses such as Booking.com. The company then began laying off employees to counter the loss of profits. Company headquarters for North America are located in New York, New York. Question 1: What is the phone number for Trivago? Answer 1: The phone number for Trivago is (212) 208-1439. 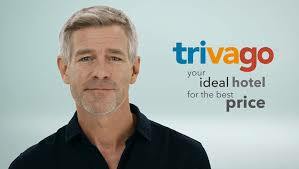 Question 2: Who is the CEO of Trivago? Answer 2: The CEO of Trivago is Jon Eichelberger. Question 3: Who founded Trivago? Answer 3: Trivago was founded by Peter Vinnemeier, Malte Siewert, and Rolf Schrömgen in 2004. I will NEVER again use Trivago nor will my friends if this drunk driver is not released as the spokes person for the company. I lost an 11 year old brother to a drunk driver. An inconsiderate person just like this guy. This spokes person has been so lucky to have landed this job and he has taken total advantage of his position. More importantly he has put children, just like my little brother and the general public in DANGER. In the past I have gotten many calls from Trivago and have each time pressed #2 on the phone key pad which takes you off their phone list – supposedly! It does not. I press #1 on the key pad as I wanted to talk with someone and again asked to be removed from their phone list. This is the reply I got “Tom, I don’t give a SH*T!”. Really professional. We the people need to stop using Trivago and let them go broke. Obviously they don’t have any standards nor any way of evaluating their staff. I booked a hotel through your website and will never do so again. Immediately upon receiving the email confirmation I see that the date I entered for my check in and the date that was on my confirmation were completely wrong. I have for the past 3 days been trying to get ahold of someone to rectify this situation AND CAN’T GET AHOLD OF ANYONE. None of the phone lines answer, the link in the email directs you to voicemails that never return calls and no one responds to any emails. How long are you going to use an unshaven bum for your advertising commercials? I am very upset with my experience both with your site and with what is apparently a partner of yours – a company called CancelOn. Earlier today I searched for and booked a hotel stay for my family’s vacation through your site. At the time I booked, it was not at all clear to me that what I was actually doing was paying a third party company I have never heard of, a “travel agency”, to book this hotel for me. This only became apparent after I booked, and received an email confirmation from a company called CancelOn. This email, which was missing key information that should have been included but was apparently omitted through a technical issue of some kind, was the first alert that something was amiss. I contacted the support number in the email and the relationship between trivago and CancelOn was explained to me. I was assured I would “receive several more emails” from CancelOn and that one of them would contain a “voucher” that I would need to print out and present at the hotel during check-in, to prove I paid for the reservation. So, I awaited this voucher, which arrived several hours later. This voucher, is literally a PDF that says “THE CUSTOMER PREPAID FOR THE ABOVE MENTIONED SERVICES” (see attachment). This is like giving me a piece of paper with the words “give this guy whatever he wants” on it and telling me to just hand it to the clerk during check-in, patting me on the arm and telling me everything will be fine! The voucher has a booking number that is internal to CancelOn, only. I called the hotel and as feared, they show no reservation for me in their system. Later, I noticed in the header of the email to which the voucher was attached, the following unbelievable statement: “We’ll send your final hotel confirmation number a day before check in”. SERIOUSLY? I should pack my kids up and drive across the state not having confirmed that I have a hotel room when I arrive? Would you do that? Better yet, would the CEO of your company feel comfortable doing that? I am totally blown away at the way this process has worked so far and it is proof to me that you don’t monitor your “partners” at all or care about how they treat your customers. A quick search for reviews of CancelOn confirms some of the nightmare encounters I can only now hope I don’t end up going through. I am very, very disappointed with this experience and the “bate and switch” approach you employ. You can rest assured that I will tell anyone I can about this and warn them away from your organization. please let me know who we should contact to see the poteantial of Africa business. Several weeks ago I made a reservation through you folks at a Quality Inn in Morgan Hill, Ca.Had trouble finding it because the name had been changed to the California Hotel, and what a disappointment it was. Just to name a few things, the bathroom as dirty, the screen on the window was in shreds, there was black mold all around the window. Even though it is no longer a Quality Inn you are still advertising it as such. I believe that is misrepresentation, you seriously need to look into the matter. I will probably not use or count on your service again after this experience. Oh and lastly, they over charged me by $33.00 over what I made the reservation for,which I had to haggle to get that refunded. Very much like your spokespersons, but in the commercial about booking multiple rooms, your spokesman doesn’t follow proper English rules of pronunciation when he says, ” There’s thuh early bird.” As an English teacher, I hear this error far more often than I’d like. The rule is a good one and prevents unnecessary glottal stops. The rule is: When “the” is followed by a word that begins with a vowel or vowel sound, you must change the pronunciation of “the” to “thee, as in (spelling doesn’t change, but I’ve spelled it “thee” as an aid to clarity) thee end, thee apple, thee other, thee ink, thee umbrella, thee hour, thee NBA, thee FBI, thee eighties, etc. There are, of course, exceptions due to some words beginning with vowels having a consonant sound, as in “one” or “universe.” Please redo your commercial, and make an effort to abide by proper English rules in future commercials. You are part of the media, and have a responsibility to understand you’re modeling the language to millions of people. Most don’t know much more than what they hear on TV, movies, and the radio. They assume you know how to speak English properly, and tend to parrot what you do. Therefore, it’s important to get it right. Thank you for your attention to this email, and, I hope, the remedying of the problem. We will NEVER use trivago AGAIN !!!! Attempted to book an hotel in Adelaide (Australia) on 15th July through trivago,accepted quote,and was transferred to hoteling.com. My master card was debited for $478. Later the same day I discovered that hoteling. com ceased trading on that day and no reservation was ever made. What are you going to do to help me? Want to make sure Trivago sees your comment or complaint?